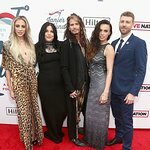 Stone has presided over auctions benefitting Lupus LA, and has donated over 70 handbags to one such auction and helped raise a quarter of a million dollars at another. Sharon convinced the CEO of Burlington Coat Factory to donate winter coats to disadvantaged children who otherwise would have had to leave school due to lack of suitably warm clothing. She also worked with Stride Rite to provide the same families with winter shoes. Stone received an award for her work on behalf of the American Foundation for AIDS Research (Amfar). Sharon helped design and signed a pair of shoes for the Stuart Weitzman charity shoe auction benefiting ovarian cancer awareness and research. Google trends for "Sharon Stone"